Yency Almonte, RHP, Colorado Rockies – Yency pitched at Wrigley Field in the 2011 Under Armour All-America Game prior to being selected in the 2012 MLB Draft by the Rockies. He has worked his way through the minor leagues, and has performed well in his time at the highest level this season. With the Rockies in 2018 he has pitched in eight games, only allowing one earned run, while striking out eight in 9 2/3 innings pitched. Ray Black, RHP, San Francisco Giants – The hard-throwing Black pitched in Baseball Factory’s 2007 Cape Cod Classic, and now takes his big fastball back to the Major Leagues. Over two levels (Double-A Richmond/Triple-A Sacramento) this season, Ray went 3-0 with five saves and 66 Ks in 35 2/3 innings pitched. Through 17 games with the Giants, Black is 2-2 with 22 strikeouts in 16 2/3 innings. John Curtiss, RHP, Minnesota Twins – Curtiss, a 2010 Under Armour All-American, was called up after an outstanding minor league season at Triple-A Rochester that saw him save 10 games, pitch to a 2.77 ERA and strike out 61 in 55 1/3 innings pitched. Carson Kelly, C, St. Louis Cardinals – The 2011 Under Armour All-American and four-time Under Armour Pre-Season All-American (2009-2012) continues to be a top prospect in the Cardinals organization. After hitting .269 with 14 doubles, a triple, seven home runs and 41 runs batted at Triple-A Memphis this season, Carson is back in the big leagues for the third time. Alex Verdugo, OF, Los Angeles Dodgers – The talented former Under Armour All-American (2013) went 2-for-4 in his first start since being recalled from Triple-A. His impressive season for top minor league stop, Oklahoma City included a .329 average with 10 home runs and 44 runs driven in. Verdugo has collected 16 hits in 55 at-bats with six doubles, a homer, three RBI and six walks. Franmil Reyes – Hit two homers and drove in four runs in the Padres 6-2 win over the Diamondbacks. Reyes has an eye-popping 15 home runs in 183 at-bats this season for San Diego. Reyes played in the 2011 Under Armour All-America Game. Brandon Nimmo – His pinch-hit three-run homer in the top of the 9th proved to be the game-winner for the Mets in Los Angeles against the Dodgers. Nimmo is hitting .270 with 23 doubles, 16 home runs and 43 RBI this season. Nimmo played in the 2010 Under Armour All-America Game. Bryce Harper – Also with some late-inning heroics for the Nationals, Harper hit a two-run HR in the bottom of the 9th to tie the game and then won it for Washington in the bottom of the 10th inning with a sacrifice fly. Bryce is carrying a strong August (.324, five HR’s, 20 RBI) into September (three hits in nine at-bats, homer, five RBI). 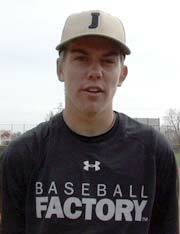 Harper attended an Under Armour Baseball Factory National Tryout in Las Vegas, NV back in 2008. Trevor Williams – Williams threw 6.2 innings without allowing a run to earn his 12thwin of the season. In his third season, Williams is blossoming into a front-line starter for Pittsburgh as the right-hander has an 0.72 ERA in eight starts in the second half of the season. Trevor attended a Baseball Factory National Tryout in 2007, was an Under Armour Pre-Season All-American in 2008, attended USA Baseball’s 16U Championships the same year and was part of our Team One West Showcase in 2009. Francisco Lindor – The Indians’ shortstop went 2-for-4, launching his 30th HR of the year to give him back-to-back 30 homer seasons. Lindor has notched career-highs in runs (114), stolen bases (22) and walks (61) through 136 games. Lindor attended a Baseball Factory National Tryout in Florida as well as the Team One South Showcase in 2009. Alex Bregman – Bregman continued to pile on to his career season for the Astros, hitting his 28th home run in a 4-1 victory over the Twins. Bregman has 91 RBI, a major-league-leading 46 doubles and 79 walks while hitting .296. Bregman performed in the 2009 Team One Futures Game and is a two-time Under Armour Pre-Season All-American (2010 & 2011). Dan Otero – Pitched a perfect inning with a strikeout for the Indians. Anthony Rizzo – Cubs’ first baseman went 3-for-4 with a home run on the day in the Cubs loss to the Brewers. Rizzo is hitting .283 with 24 homers and 90 RBI this season. Rizzo attended a Baseball Factory National Tryout, Team One South Showcase as well as the Cape Cod High School All-Star Game in 2006. Nicky Delmonico – Started the game with a lead-off homer in the bottom of the first in the White Sox 4-2 victory over the Tigers. Delmonico played in the 2010 Under Armour All-America Game. Scooter Gennett – The Reds second baseman continues his career year, hitting homer #20 while going 2-for-4 in the loss to the Pirates. Gennett leads the National League with a .322 average, 22 homers, 84 RBI and 29 doubles. Gennett was an Under Armour Pre-Season All-American while also playing in the Under Armour All-America Game in 2008. Luke Voit – The Yankees catcher hit a 2-run homer in the loss to the Athletics. Voit has been very impressive for the Yankees down the stretch, since coming over from the Cardinals in the beginning of August, hitting .322 with seven homers and 15 RBI in 19 games. Voit attended a Baseball Factory National Tryout in 2008 and was an Under Armour Pre-Season All-American in 2009. Mark Canha – Hit home run #16 for the A’s in their victory over the Yankees. The A’s also got RBI contributions from Baseball Factory alums, Matt Olson (2011 Under Armour All-American) and Khris Davis (2005 Baseball Factory Pre-Season All-American) who collected his 106th RBI (second-best in the American League). Canha, who participated in the 2005 Team One West Showcase, was also a Cape Cod High School All-Star in 2006, has 19 doubles and 46 RBI in 107 games this season for Oakland.